​There are days when I’ve put in hours either writing and reviewing correspondence for my company or working on lessons for my Sunday school class and my mind will not switch to creative writing. This is one of those times. I’m not going to pretend I have words of wisdom tonight. I’m going to admit I’m tired and unable to think. So here’s my one thought for the week. Don’t force yourself to write when the words aren’t there. There are times to take a break. The trick is to know when you are unable to write productively and when you are just being lazy. 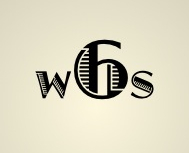 This entry was posted in Writing by wordsmithsix. Bookmark the permalink.